"I am a devoted psychologist, passionate about mental health and social justice." An experineced practioner, Annahita Nezami offers both individual and couples psychotherapy from her practice in Kingston upon Thames. Annahita has gained a solid understanding of mental ill health by developing strong relationships with her clients. 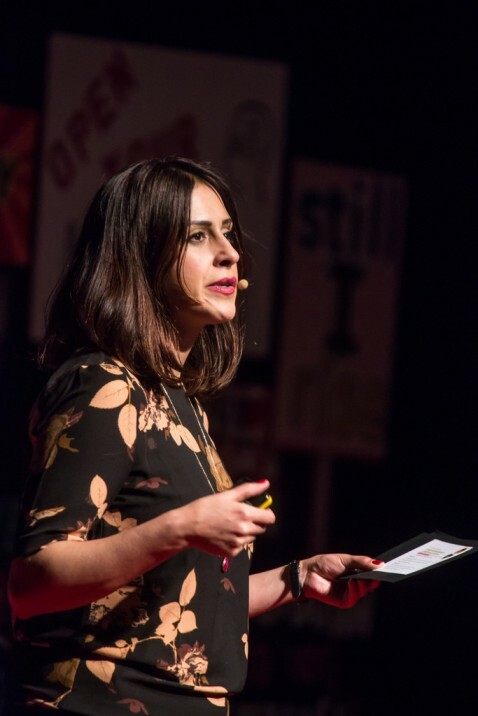 A frequent mental health commentator, in 2017, Annahita was invited to give a TEDx talk on the therapeutic value of the overview effect and virtual reality in mental health treatment. I love working with people; people who have great inner depth and courage, people who never fail to surprise me in the strength and inner wisdom they conjure up - sometimes during the hardest moments of their lives. I am grateful to each of my clients for sharing their stories, which in turn have allowed me to acquire wisdom and a deep sense of compassion and respect for this curious thing we call life. I also enjoy being a collaborative investigator. My clients and I work together to build ongoing formulations to identify some of the bio-psycho-social causes of their problems, and by doing so, my clients gain insight about some of their problems and realise they have more agency and resilience than they thought. Seeing that transformation in my clients is always a joy. Therapy to me is about growth and about becoming. Long-term therapy can help people understand their inner space and psyche, and learn to be demigods of that arena. Short term therapy can also be beneficial, and, if done properly, serves as a gateway to inner growth and resilience and thus alleviate debilitating symptoms of anxiety and/or depression. My favourite currently is ‘In An Unspoken Voice: How the Body Releases Trauma and Restores Goodness’ by Peter Levine. I also love Carl Jung’s works. "Your visions will become clear only when you can look into your own heart. Who looks outside, dreams; who looks inside, awakes." Both quotes are by Carl Jung. I take cold showers, swim and walk. I eat good, wholesome and nutritious food to fuel my body and mind. I drink a lot of turmeric tea and take vitamins such as zinc, turmeric, and B12. I practice gratitude meditation and vagus nerve stimulation. I also believe in staying true to my values - more specifically, not allowing resentments or insecurities to build up or interfere with me leading a compassionate life. Book a therapy session with Annahita here.